The “Oltrarno” in Florence is generally considered the entire area across the river Arno and also known by the people of Florence as Diladdarno. It includes the area of Santo Spirito, San Frediano, Palazzo Pitti, Porta Romana, Boboli Garden, Via Maggio as well as a number of churches, museums and palaces that are truly unique. The area is also home of many traditional artisan shops called “Botteghe” from mosaic-makers, wood carvers, antiques, gilders, goldsmiths, shoemakers and more. 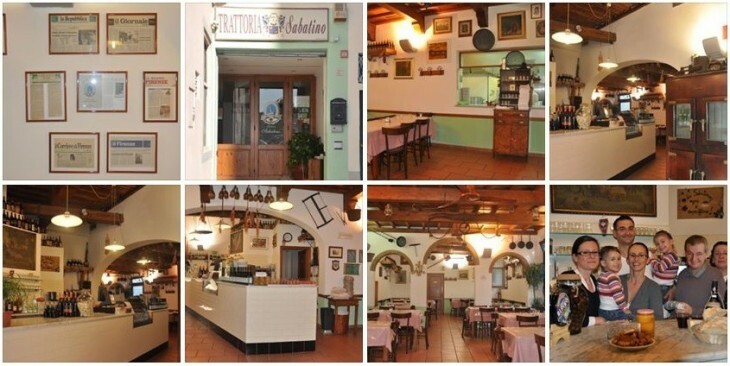 The “Antica Trattoria Sabatino“ is a family owned restaurant and a true traditional business with affordable prices and quality. This is the restaurant for the everyday occasion, many residents dine there on a daily basis so the feeling is “eating at home“. Product are fresh products and combined with the healthy cooking make this restaurant a must try while touring the Oltrarno. The menu is still written with classic typewriter giving, the name of the tables is also unique not number but location: alla Radio, Alla Porta, Alla Corte, well done Lucia, Massimo and Stefania. The “Trattoria da Sergio” is yet another tiny small restaurant owned by a friendly host that is always ready to suggest you great dishes in combination with wine. There aren’t many tables so in the evenings make sure to make a stop by reservation to find place. Great starters, main courses and second dishes with various meets. There are also theme dinners so be sure to check the trattoria da sergio facebook page for updates. The “Trattoria Diladdarno“, is located on the historic via dei Serragli. A small white entrance door delivers an unsuspected wide room colorful and cozy. The room leads to an internal courtyard, adorned with aromatic plants, where to find comfort and quietness, far from the urban rumor. It’s like an hidden small garden. The chef offers personal and genuine traditional dishes of Florentine and Tuscan cuisine, fresh ingredients, Italian meats, seasonal vegetables, extra virgin olive oil of the colli fiorentini. The proposal is an excellent value for money, the choice to offer water and service, the propensity for a spontaneous and informal relationship with foreign customers, as well as with locals. Trippa (guts) is a very typical dish in Florence, along with lampredotto (intestine interiors) are not meant for everyone. For Asians is a peace of cake eating such delicious parts of the animal but other westerner countries are less prone into trying it. Nevertheless it’s worth to mention that a very inexpensive way to consume a meal is by eating Panino with Lampredotto or Trippa salad. 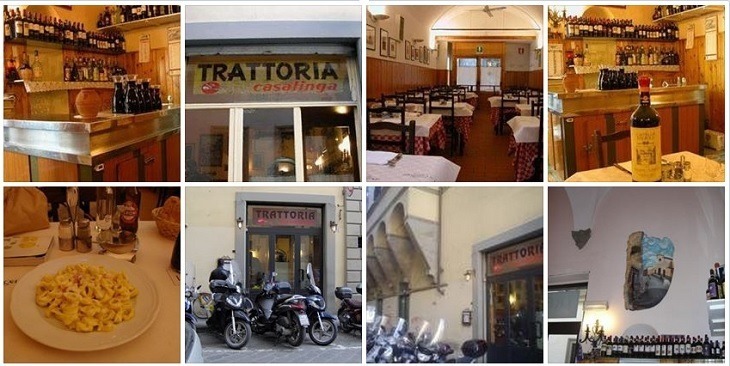 The Osteria Tripperia il Magazzino offers also primi piatti and secondi piatti, with or without trippa. You can visit the official Osteria Tripperia Il Magazzino facebook page here. We hope you’ve enjoyed the list above! Check out additional resources for Oltrarno here, and here. Follow Florentine Touch’s board Florence Oltrarno on Pinterest.